Motorola took the stage in Chicago to announce its revamped flagship phone called, again, the Moto X. The device boasts new sets of guns and software compared to last year's model. The new Moto X is definitely positioned for the upper level market with its metal frame and swappable back covers including the Horween Leather. 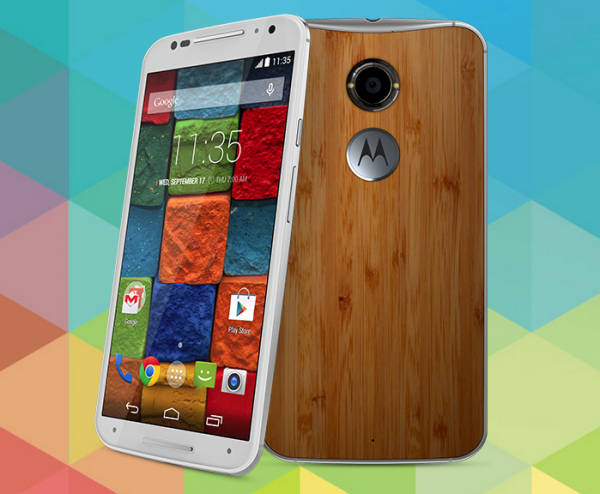 Of course, if you're in the US, you can customize the design with the Moto Maker program. Aside from the design, you'll get the flashy Snapdragon 801 with 2.5-gigahertz CPU and Adreno 330 GPU. The device is also loaded with 2 gigs of RAM and a choice between 16GB or 32GB internal memory across the board. This new installment will offer a bigger 5.2-inch screen real estate with AMOLED display that frames with 423ppi density. Camera-wise, you'll get the 13-megapixel sensor at the back with dual-LED and 4K video capture. This 144-gram device will sport the 2,300 mAh battery and Android 4.4.4 KitKat. Plus, there's also the promise of a timely update to Android L.
The device will initially hit US, Mexico, France, Germany and UK. It will also be rolled out to different markets within the year. Of it'll hit the Philippines, it'll be priced more or less Php 22,000.